RUSH: Here’s Jeff in Indianapolis. Welcome. It’s great to have you here. CALLER: — thought I’d get through. CALLER: I have a little different take on things. I think the insurance policy was the exoneration of Hillary Clinton, not the dossier. If they would have brought some sort of charge against Hillary, even some minor thing, she might have lost to Donald Trump. The last thing they needed was Trump in the White House to expose — he had access to all the classified documents. He could expose this wiretapping, which he did obviously anyway, but they needed to CYA. And that’s the insurance policy, was to exonerate Hillary, in my opinion. 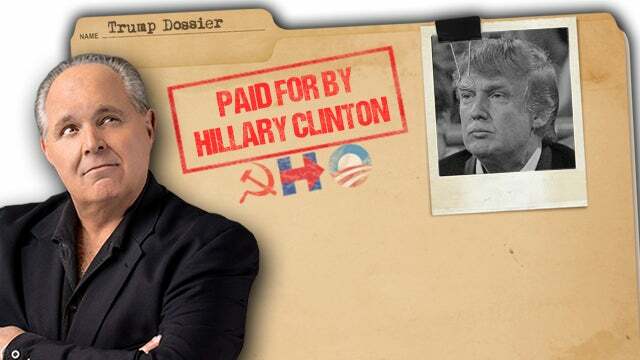 Not the dossier. Anybody knows that’s fake. I mean, you just look at it, read it a couple times. RUSH: Well, but — no, no. Precisely the point. Everybody knew it was fake and look how it was used. Look what that dossier accomplished. They got four warrants — well, a warrant renewed four times to spy on the Trump campaign with dossier. It’s in the Nunes memo. The dossier was the basis of a two-year so-called investigation by Robert Mueller. The dossier is all they had. Now, the insurance policy was not a specific thing. The insurance policy was anything, anything at all to be able to get rid of Trump if he won. The insurance policy was actually two things. It was spying on the Trump campaign and the attempt to plant informants in the Trump campaign to keep Trump from winning. And then after Trump won, the insurance policy is to set up the constant attacks to lower his approval numbers that would lead to impeachment. But the dossier was just the mechanism. Now, I want to show you how successful this effort has been. You all know that Chris Wallace of Fox News is a good friend of mine. If you don’t know that, I’m telling you. He is a good friend. I appear on his show twice a year. Whenever he’s here in Palm Beach — well, not every time. Whenever he’s here, if we have time, go out and grab a bite to eat. He was on Fox earlier today before the program started and they were discussing one of the sound bites that aired with me last night with Bret Baier. And Bill Hemmer was talking to Chris Wallace about the investigation and when it began, and Hemmer’s point was that the dossier formed the basis for the investigation. Now, folks, this is very hard for me to say because I have tremendous respect for Chris Wallace. I like him. But he is totally wrong about this. 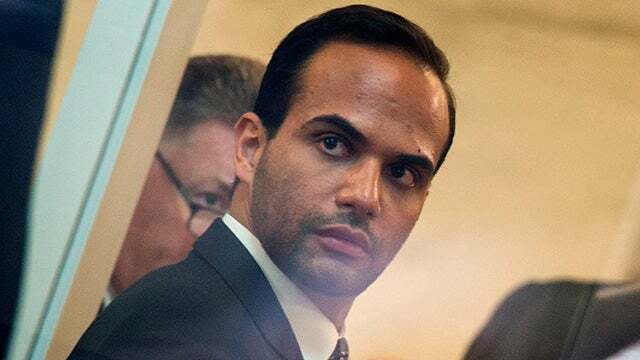 George Papadopoulos was told by somebody named Joseph Mifsud and Stefan Halper, both FBI informants, about the Russians having 30,000 Hillary emails. “Great, I’ll do it.” When he got there, Halper and Mifsud take him aside essentially and say, “You know the Russians have 30,000 Hillary emails?” And Papadopoulos, this to him is really cool. He didn’t know any of this. These guys are paying attention to him! Man, being in the Trump campaign, this is cool! After that, they arranged for Papadopoulos to have adult beverages with Alexander Downer, who is the ambassador for Australia, U.K. Or maybe the United States. I forget which. So at this bar in London, Papadopoulos says, “Hey, do you know that the Russians have 30,000 of Hillary’s emails?” How does Papadopoulos know this? He knows this because the FBI informants told him! Stefan Halper and Joseph Mifsud, professor from Malta. So, after Papadopoulos, ’cause man, this is big stuff. Look what the FBI’s telling me, man, I really rate here. So Papadopoulos tells Downer. You know what Downer does? Downer, one of the five I’s organizations, intelligence agency — Australia, U.K. , Canada, United States and what — five I’s. These are allies. So Downer calls the FBI. “Hey, I got somebody here from the Trump campaign saying that the Russians have 30,000 emails.” They tried to tell us that this is when the investigation began, but it was fettered out by Chuck Ross and a number of other reporters. Papadopoulos was set up. The FBI told him Hillary had those emails. Then they put him in a drinking session with the Australian ambassador, he tells that ambassador, the ambassador then calls the FBI as though they didn’t know, guess what I just found out? And they tried to say that that was the start of the investigation, but it’s been blown to smithereens. It was another fake, phony attempt at explaining it. 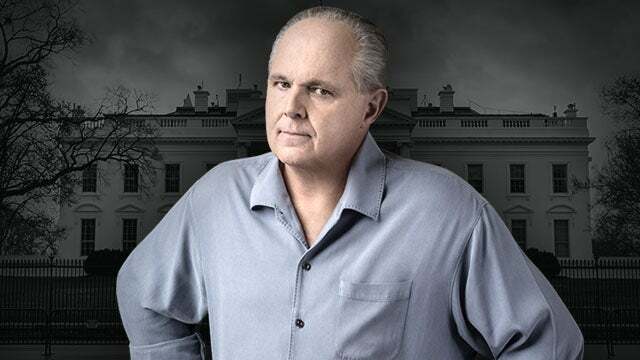 RUSH: And one more thing, my good friends, on the fact that the insurance policy was not the dossier. James Comey had already exonerated Hillary Clinton. He did that in a famous press conference July 5th, 2016. That’s when he exonerated Hillary. Strzok Smirk and Lisa Page were not texting about needing an insurance policy until August of 2016. So a full month later is when they began texting about needing an insurance policy. So exonerating Hillary was not it.